Hot off the presses and just launched in London is a cracking edition of North (Eds Jane Clarke & Nessa O’Mahony) from Poetry Business including an intriguing conversation between two of my favourite poets, Sinead Morrissey and Paula Cunningham. 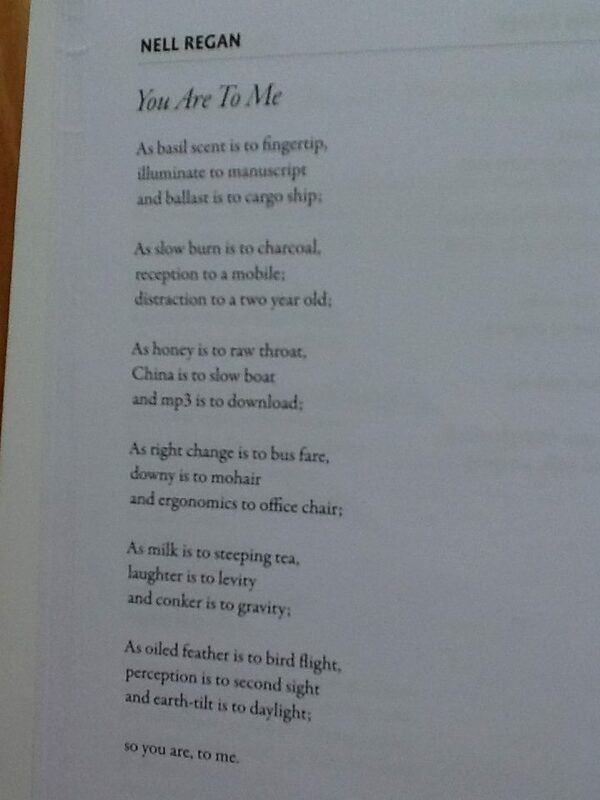 Some of the great, late Matthew Sweeny’s last poems are there as well as a clatter of other new poems and reviews. There & in great company is ‘You Are To Me’ written for Ronan, my then boyfriend and now husband (!) and read at our wedding. http://www.poetrybusiness.co.uk/shop/993/north-61 and buy at Books Upstairs and other bookshops. Thanks Eithne – a great use of an otherwise empty studio slot. Over the past 2 years or so I’ve been chipping away at translating the Irish language poetry of Micheál Mac Liammóir. He published one collection in 1964, Bláth agus Taibhse, (Flower and Ghost ) Sáirseal & Dill which is full of beautiful, intriguing and confounding poems. 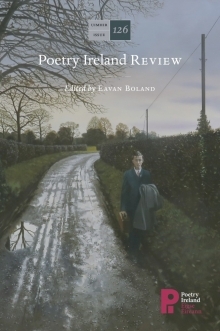 My essay Bláth agus Taibshe: Flower and Ghost: The Poetry of Micheál MacLíammóir in Translation along with several of the translations has found a great home in Poetry Ireland Review 126, with thanks to editor Eavan Boland and Paul Lenehan who heads the publication team. The edition is full of other treasures. Poetry Ireland Review Issue 126 includes Nell Regan’s essay on the Irish-language poetry of the legendary impresario Micheál Mac Líammóir (1899-1978), who co-founded Dublin’s Gate Theatre and numbered Orson Welles among his friends and collaborators. 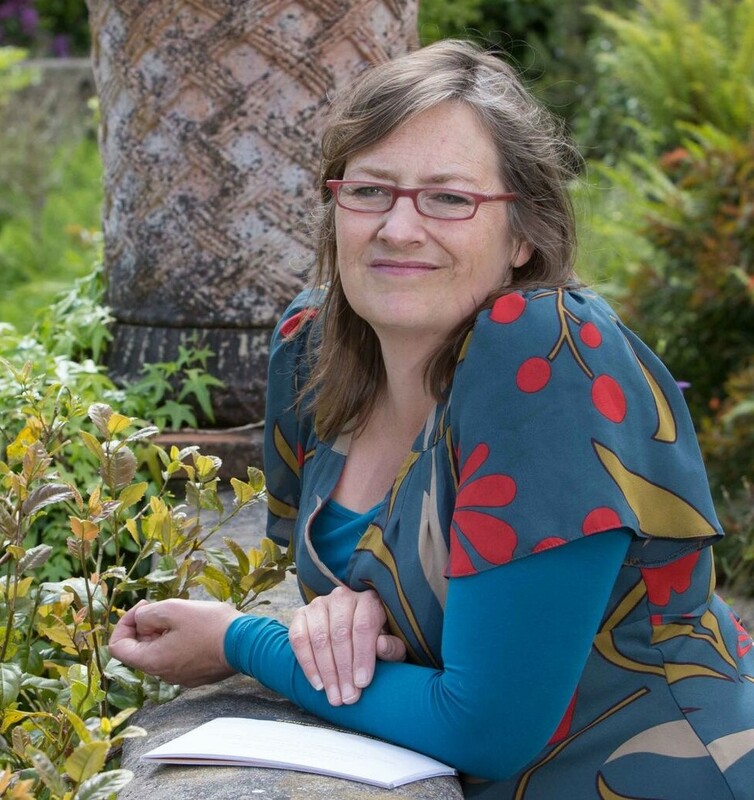 Lottie Limb re-evaluates Blanaid Salkeld, a woman poet whose work remains unjustly neglected, in an essay that makes a compelling case for Salkeld to be regarded as a leading Irish modernist poet of the last century. There are new poems from over sixty poets in this issue, including work from Annemarie Ní Churreáin, Greg Delanty, Medbh McGuckian, Colette Bryce, Simon Ó Faoláin, Anne Tannam, and featured poet Roisin Kelly. The books reviewed in this issue include titles from Derek Mahon, Martina Evans, John F Deane, Colm Keegan, Alice Kinsella, and Elaine Feeney, while Bernard O’Donoghue reviews 100 Poems, a special selection of Seamus Heaney’s work, chosen by his family. Really looking forward to doing a slew of poetry readings & events this month. First up is Féile Londubh in Ashford. 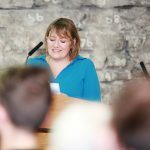 Check out the great programme of events www.feilelondubh.com 13 – 15 April 2018. On 13 April the free launch concert takes place after a workshop w/ Oisin McGann in the Mobile Library & a Fighting Words workshop . As well as trad group Perfect Friction and students rappers with Music Network, I’ll be introducing work of the Transition Year students of Colaiste Chill Mhaintain where I undertook a World Wise Global Schools series of workshops in association with Poetry Ireland WIS.
I’ll also be taking part in the wonderful @lablelit #PoetryDayIRL project – keep an eye out for luggage labels with poetry on them! Saturday 28th April 2pm I’ll be introducing and talking with poet Catriona O’Reilly as part of waywithwords.ie in Blessington Library. Really looking forward to reading in Ashford, Co Wicklow with James Mahon on flute and uileann pipes. 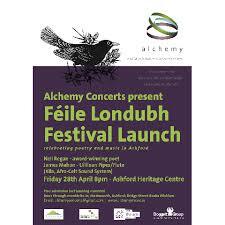 Launch of Féile Londubh, free and all welcome this Friday!